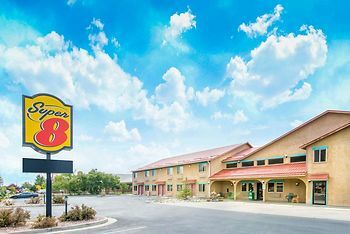 Hotel Super 8 by Wyndham Buena Vista, Buena Vista, United States of America - Lowest Rate Guaranteed! With a stay at Super 8 by Wyndham Buena Vista in Buena Vista, you'll be within a 5-minute drive of Buena Vista Heritage Museum and Buena Vista River Park. This motel is 13.7 mi (22 km) from Mt. Princeton and 6.1 mi (9.8 km) from San Isabel National Forest. Enjoyed everything and the staff was exceptional nice. Had a great stay. Nice staff, clean room. Nice room, looked like it had recently renovated. Friendly helpful staff. OK breakfast. Highest price I ever paid for a Super 8. Only other decent hotel in town was a higher priced chain and I think the Super 8 owner takes advantage of that and jacks up his prices. The staff was fantastic. Above and beyond!! Staff on duty recomended a Mexican resteraunt an it was very good. The Super 8 in Buena Vista is well kept and clean, especially for such a small town. The rooms were clean and comfortable, and the pool and hot tub were nice. The only negetive comment I would have would be about the breakfast buffet. We stayed there a few months ago, and although the selection seemed small, at least there was a waffle maker so that you could have something hearty and warm. We were surprised to see on this visit the waffle maker had been removed, and there was really very little available on the buffet. This is especially disappointing when you consider that the Best Western across the street has one of the best brekfast buffets we have ever seen, plus an onsite coffee house. We may be switching hotels the next time we are in BV!